At the outset of 2019, we all have personal goals, but most of us also have professional goals for the year ahead. For those of us in IT, this is a time to think about how you deliver the modern, empowering workplace for your business in a cloud-connected world. With Windows 7 end of support coming in one year—January 14, 2020—and end of support for Office 2010 close behind, there’s an opportunity right now to be proactive about what’s next. 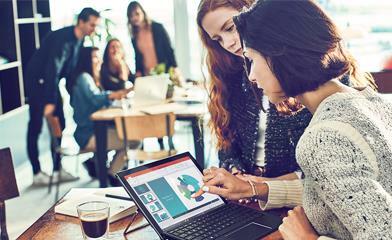 Changes and upgrades in technology are inevitable, and there’s never been a better time to start putting in motion the things you need to do to shift your organization to a modern desktop with Microsoft 365. As you think about this upgrade, this is a time to consider how your approach can set you up for the future to deliver an incredible experience for your users that is empowering and secure. How, exactly, can you do this? First, it goes without saying that consumers and enterprises change at different speeds. Because of this, we got an early start helping IT pros prepare, whether you’re a small to midsize business or a large enterprise. In the past, IT management has been tedious, manual, and time-consuming, but shifting to a modern desktop with Windows 10 and Office 365 ProPlus is a streamlined process that brings with it the most productive and most secure computing experience driven through cloud intelligence. This shift is already well underway in thousands of organizations around the world. In fact, more than half of all commercial monthly active devices are already on Windows 10. You can see the results in companies like Hendrick Automotive Group, Anheuser-Busch, Fruit of the Loom, City of Corona, and Rogers Communications. Each of these—and many others—are already benefitting from the improved security and productivity offered by a modern desktop. Curious about how you can benefit from a modern desktop with Microsoft 365? Check out the Microsoft 365 Modern Desktop ROI Estimator developed by Forrester Consulting and commissioned by Microsoft. It is an interactive model that helps you determine the economic impact on your specific environment of moving to Microsoft 365. Right now, security concerns are the top reason organizations are making the shift to a modern desktop. Putting the right technology in the hands of users can prevent some of the most common security threats, such as compromised credentials. For example, Windows 10 provides security features like Windows Hello, which enables companies to eliminate passwords, as well as support for FIDO2 security keys, which enables organizations to better secure their data and devices. Check out this Gartner report for more on Windows 10 security benefits. When it comes to security in Office, Office 365 has powerful, built-in features to help you protect sensitive data, stay in control in the cloud, and meet your compliance needs. For example, Office 365 Message Encryption helps protect sensitive data without sacrificing productivity. Office 365 Data Loss Prevention (DLP) tools help protect content such as HIPAA-related and General Data Protection Regulation-related (GDPR) data. If you are still encountering blockers as you make this shift, there are some great resources available right now. Here are some new tools and insights delivered from the cloud that can help you move forward with confidence faster. As you get started, here are the top three resources you can use to make the shift to a modern desktop. We’ve heard loud and clear that one of the most important considerations for shifting to a modern desktop is application compatibility, and we’ve done a massive amount of work to ensure that Windows 10 and Office 365 ProPlus are now the most compatible upgrades ever. To work around any unforeseen barriers to upgrading, we created the Desktop App Assure program. If you aren’t familiar with the Desktop App Assure team (which we were very excited to announce in my keynote at Ignite 2018), take a minute to read this overview of the remarkable work they can do for you. Keep in mind, however, that the Desktop App Assure team doesn’t exist because there are a lot of apps in need of remediation. Instead, the Desktop App Assure team was created to be a part of this better-than-ever compatibility, so you can have confidence when you upgrade. 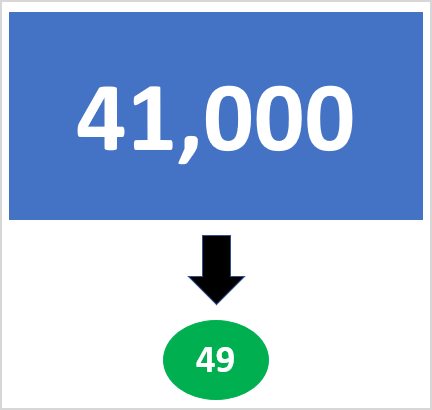 So far, out of 41,000 applications within their estates, customers have come to us to evaluate 7,000 applications for potential compatibility concerns. However, when the Desktop App Assure team dug into it, they found that only 49 apps required assistance. That’s a 197 percent difference between perception and reality. Another way to look at this is that only 0.1 percent of all the apps that customers who have worked with the Desktop App Assure team to evaluate have had a compatibility issue. That is incredible work by the Windows team to ensure compatibility! The Desktop App Assure team has already fixed many of these apps (and many were fixed during that first call with the customer), and I’ll detail everything else we’ve learned in a future post. Building on this great momentum, we’re excited to announce today that Desktop App Assure is available globally. To get started with the Desktop App Assure team, simply contact FastTrack and a Microsoft engineer will follow up to work with you until the issue is resolved. Also, check out this site that details the entire range of services offered by the Desktop App Assure team—and if you want to get started right now, visit Desktop App Assure. You can also see a more detailed discussion with a leader on the Desktop App Assure team in this section of my Endpoint Zone 1810 video. The world is changing in dramatic ways driven by higher levels of mobility and technology access. In their personal lives, users are exposed to the latest apps that make them more productive, and they want the same in their work lives. Office 365 ProPlus, a fundamental component of the modern desktop, gives your users just that. Office 365 ProPlus enables users to collaborate in real time, across their devices, anywhere they are, and use AI-powered features like Designer in PowerPoint that help create beautiful presentations in minutes, or the new placeholders in Word that help users stay in the flow while writing. So we strongly encourage you—deploy the Office 365 ProPlus apps that are powered by the cloud now and give your users the gift of productivity. For IT, Office 365 ProPlus brings exclusive security value and ease of deployment. For instance, it is really simple to shift from Office perpetual to Office 365 ProPlus with the new Office Customization Tool. We know that many IT teams use Configuration Manager to deploy Office, and therefore this functionality is also available natively in the Configuration Manager (Current Branch). Using this, you can now easily manage your on-premises infrastructure and the cloud together. You can also simply toggle one control to clean out MSI deployments of Office perpetual editions when you migrate to Office 365 ProPlus Click-to-Run. More information is available in Overview of the Office Customization Tool for Click-To-Run. Plus, here is a brand-new video that walks you through the step-by-step process. This shift to the modern desktop is an extension of what many organizations are already doing today—and there are many ways to get started. For example, you can cloud-connect many of the tools and processes you’re already familiar with, like Configuration Manager and Active Directory. Connecting your infrastructure to the cloud not only reduces the complexity, but also gives you the power of Microsoft’s cloud-driven intelligence that you can apply to countless aspects of your job, such as productivity, security, and management. By enabling co-management with just four clicks, you can unlock even more features that help you to manage your devices even better, such as conditional access. If you are using Configuration Manager Current Branch, you are modern, because Configuration Manager Current Branch is cloud-connected and continually updated. Co-management in which you attach Intune to your Configuration Manager deployment enables new scenarios and brings more cloud power to your environment. Co-management is so important that we just launched an incredibly detailed new site with everything you need to know about how to make the case for co-management and how to unblock anything standing in your way. Don’t forget that you can now use the consolidated Microsoft 365 Admin Center to have a comprehensive view of all of your admin dashboards and tasks in one place. Many of the features we announced at Ignite are now live and ready for you to use right here. We are 100 percent committed to helping you make the shift to a modern desktop because we believe it is legitimately the most secure, productive, and cost-effective solution. If you need more step-by-step guidance on how to get started, just check out our Modern Desktop Deployment Center to see recommended steps, tools, and guidance for your shift to Windows 10 and Office 365 ProPlus. I think you’ll be really excited to see all the ways that you can leverage your existing tools and processes, while adopting modern management approaches along the way. As you manage your overall migration journey and shift to the cloud, we also have other resources for you—for Windows Server 2008/2008 R2, SQL Server 2008/2008 R2, Exchange Server 2010, or Windows Embedded 7. Let’s make the shift together. We are here for you every step of the way.